Natural Language Processing bot that riffs off Ursula's incantation from "Poor Unfortunate Souls". Word substitutions are selected based on syllable stresses, syllable count, and phonemes. A mad libs TwitterBot fed by Stephen Crane's "In the Desert" poem, syllable analysis, and WordNet from the NLTK Python package. Pair project completed with Alice Rhomieux at Ada Developers Academy. 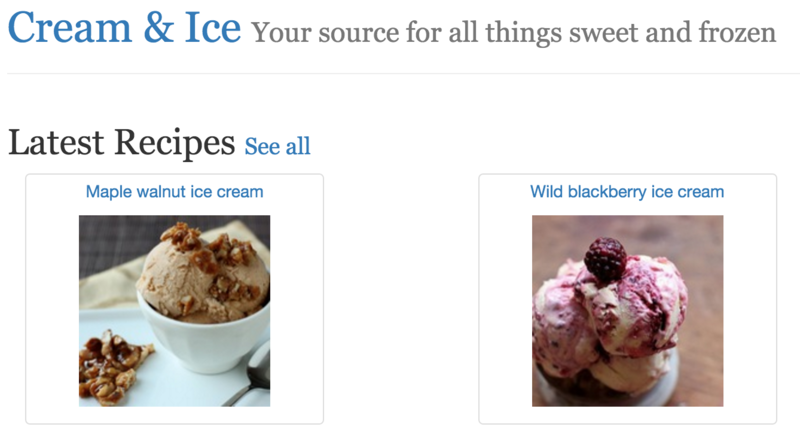 Ice cream recipe collection app that relies on advanced ActiveRecord relationships. Goofy experiment with the iTunes API. 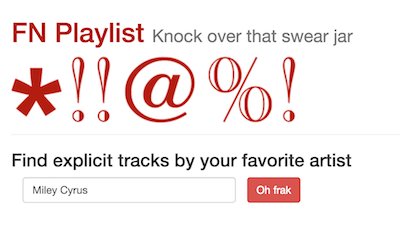 Allows you to search for just the explicit tracks by a given artist.